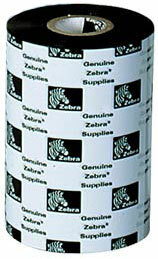 72284	 Zebra Z-Select 4000T, 3" x 1" Z-Select 4000T, Permanent Adhesive, Thermal Transfer, Paper, Perforated-No, Labels Per Roll-5180, Rolls Per Carton/6. For use with Tabletop/Industrial Printers. The Zebra 02000BK08330 is also known as ZEB-02000BK08330-C	.